Well... guess who had another sleepless night. This is becoming a habit and I'm just about to become a "druggie" (just kidding). I went to bed at 9:30 - couldn't even stay awake long enough to watch the entire show of "So You Think You Can Dance"!! What's up with that? Then at 12:30 my peepers opened...and that's all she wrote. 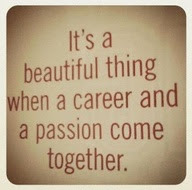 Today I'm heading out to do some errands and then off to Cinnamon's for a day of sewing. I feel like I haven't sewn in ages.... doing to many other things I guess. Look what we have to chat about today!! 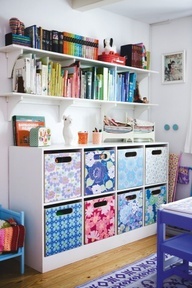 Don't you love these cute cubby drawers? 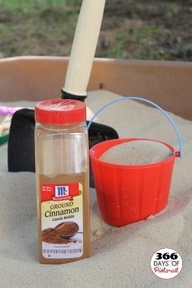 I think they are so cute...hides all of the JUNK we accumulate in our sewing/craft rooms. 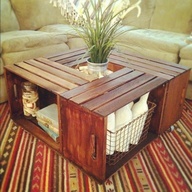 Doesn't this look like something you would buy at iKea? I sure wish we had one here in Jacksonville. The closest one that I know if is in Orlando! Too Far!!!! This is so cute... it's called a vacation jar. 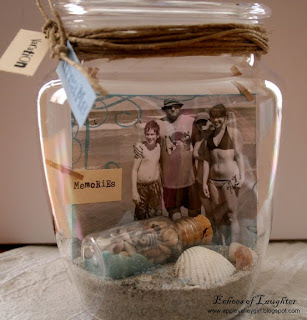 I think it's a FUN, FUN thing for the kids to do - collect cute things that can be put into a sealed jar when you get home. What a cute memorabilia item for them to keep for years. Hey... 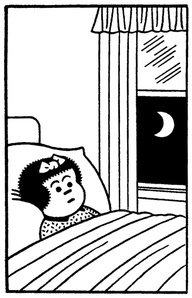 Remember the cartoon Nancy? I loved her... she was funny and not gross or scary... or rude. Have you all watched any of the kids cartoons and programs they have on TV today? UNBELIEVABLE!!!! I can't even understand why the TV networks let some of them run! Remember Archie and Veronica? Casper? Beetle Bailey? 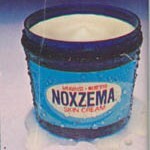 Here's another item I remember oh so well... good old Noxzema. Do you know they still make this! Do any of you use Noxzema these days? I can remember going to bed smelling like the jar! ICK! Our mom loved the stuff. 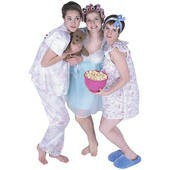 And this.... SLUMBER PARTIES!! Where you laughed, giggled, ate popcorn, tried to stay awake all night (but never could), read comic books, tried on make-up, curled your hair.. you know... fun girlie things. We used to have so much fun at our Slumber Parties!! I can still remember the girls that came.... wonder what they are all doing these days? I love this sign... this is me in a nut shell!!!! Then... my favorite WISH OF ALL.... "If only mosquitoes sucked fat instead of blood" !!! Oh.. how I wish this were true. Of course.. 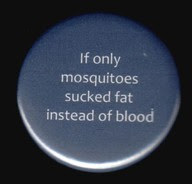 I don't want to get sick with all of the issues of the mosquitoes these days... but they sure can have some of my fat. They wouldn't be hungry for MONTHS!! Ha!! Well, it's time to answer some of my emails, and get my day going. 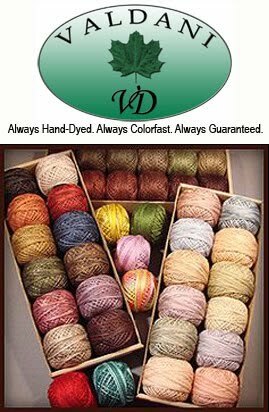 Everyone have a super day... sew a bunch, knit a sweater.... see you tomorrow!